Isn’t it so awkward to see women who refuse to dress their age? Of course, dress is mostly subjective (but not really). Isn’t it an odd thing to think we should be ashamed of how many years God gave us on Earth? This week we think about some age-related issues. Since turning 30 this year, we have finally begun to think about what kind of “older” women we want to be. 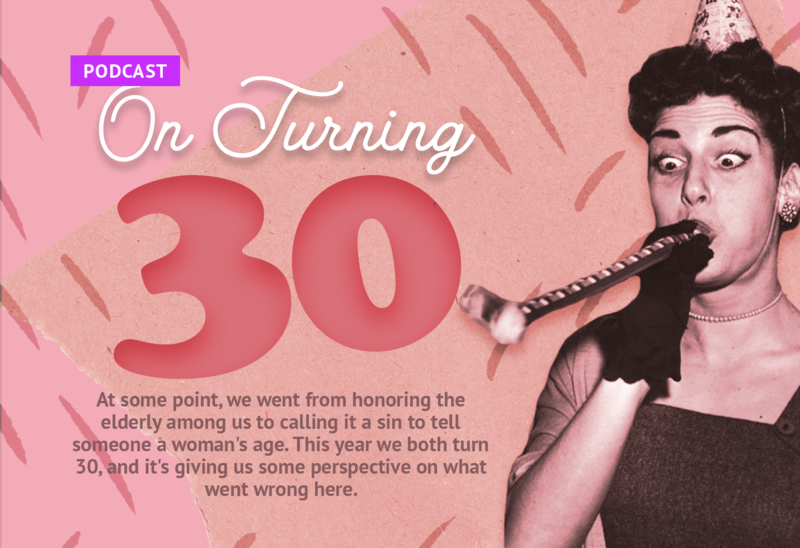 And oddly, we have a lot of thoughts about turning 30! It’s a short episode, you can handle it!